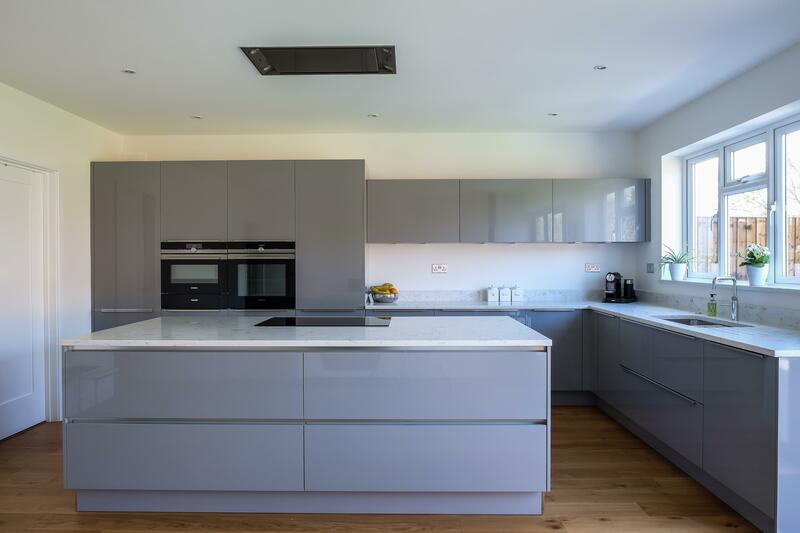 This simple yet beautiful kitchen is a calming palette of grey and white. 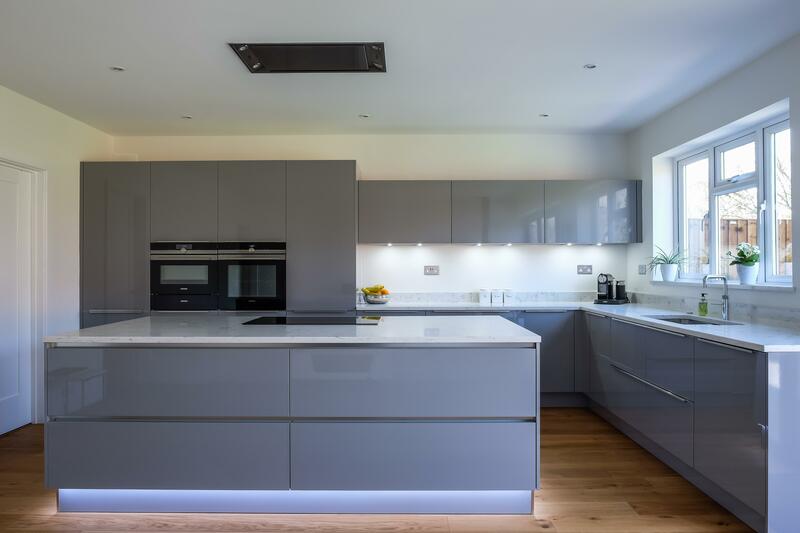 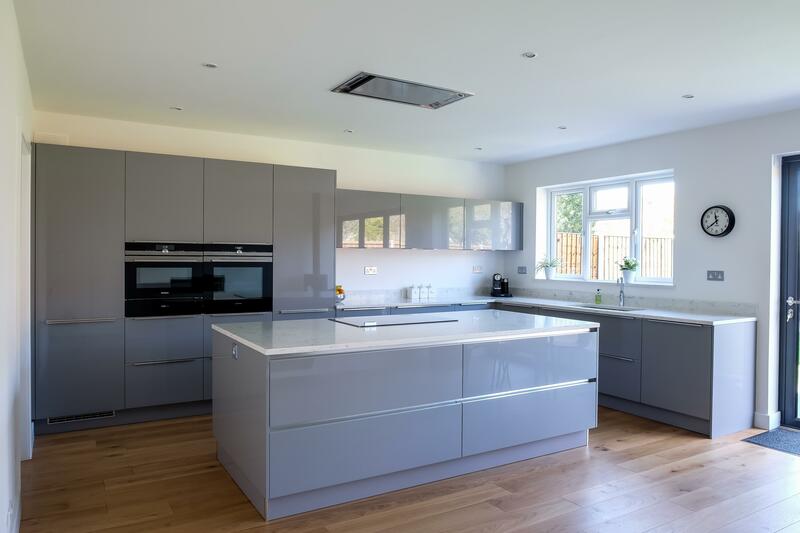 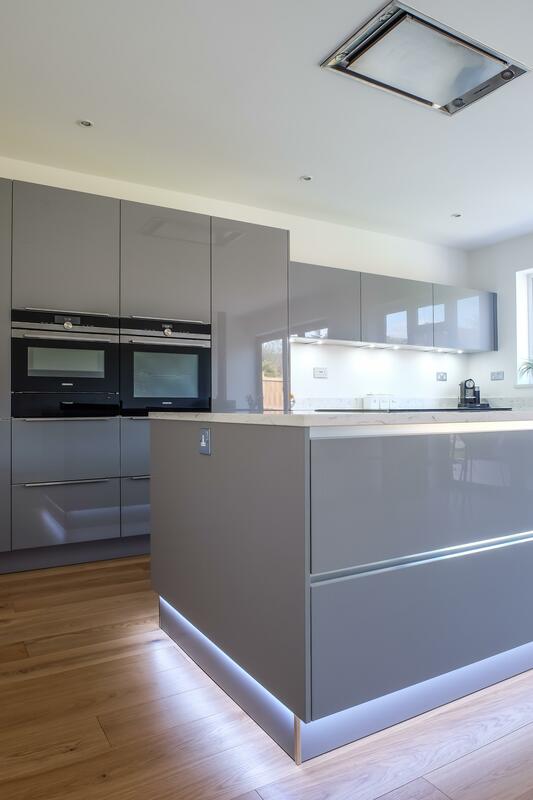 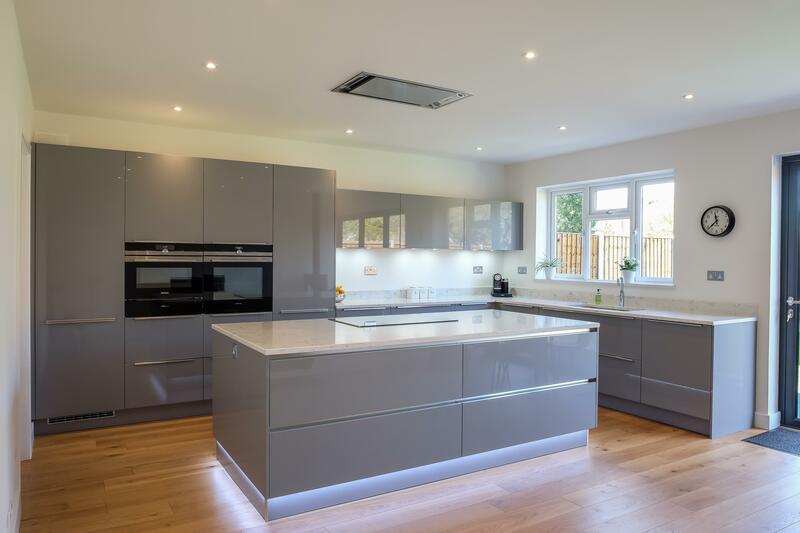 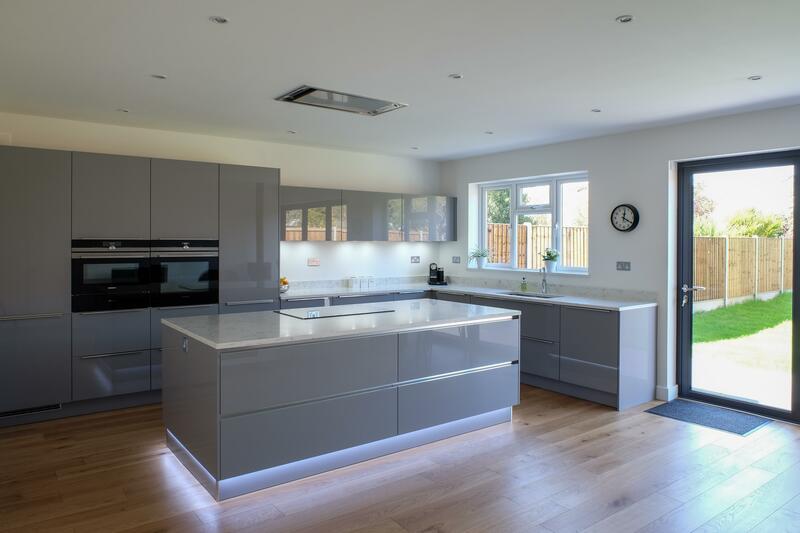 The cabinetry is ‘Pearl Grey’ gloss paired with marble effect quartz worktop in a 30mm finish. 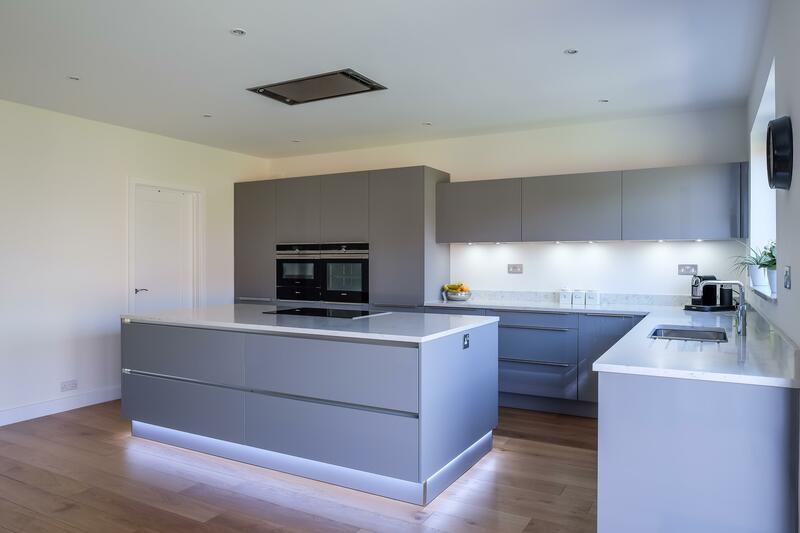 Part of the clients brief was for a large island to be the hub of the kitchen. 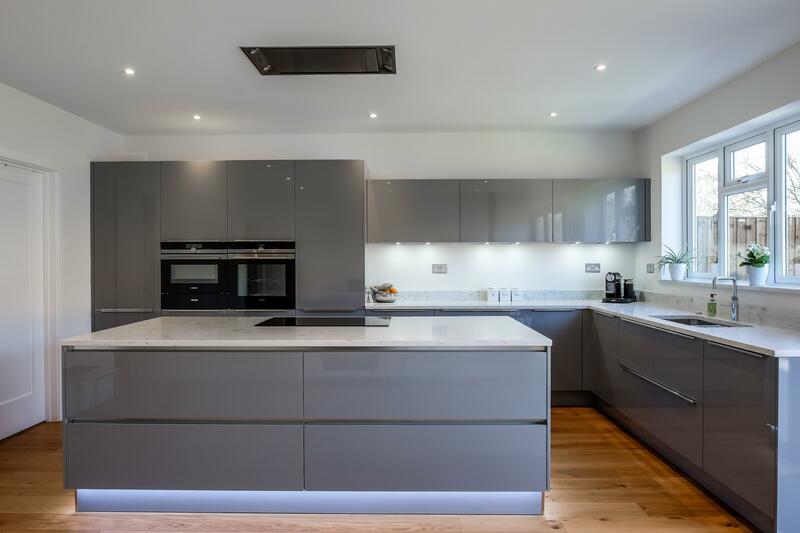 The hob and extractor have been incorporated into the design to ensure it’s the focal point of the room, where people can gather to socialise and eat. 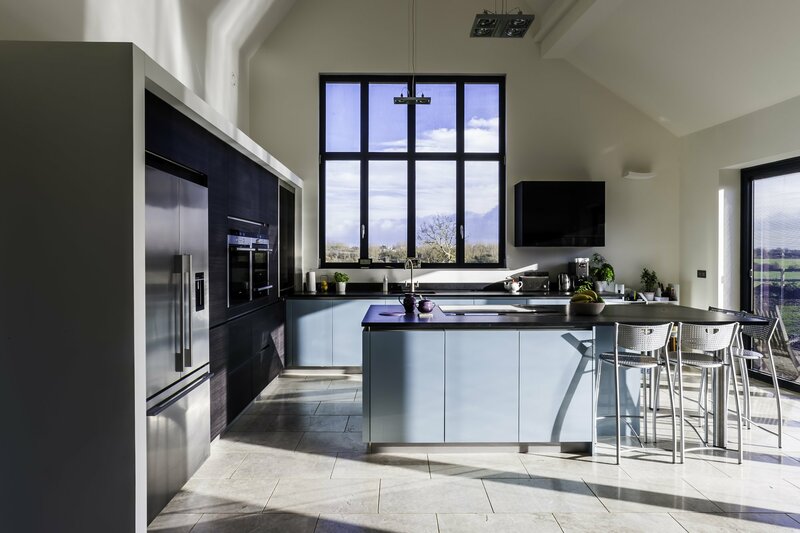 A bank of tall units is situated behind the island, with the sink under the window, creating a perfect working space with everything within easy reach.